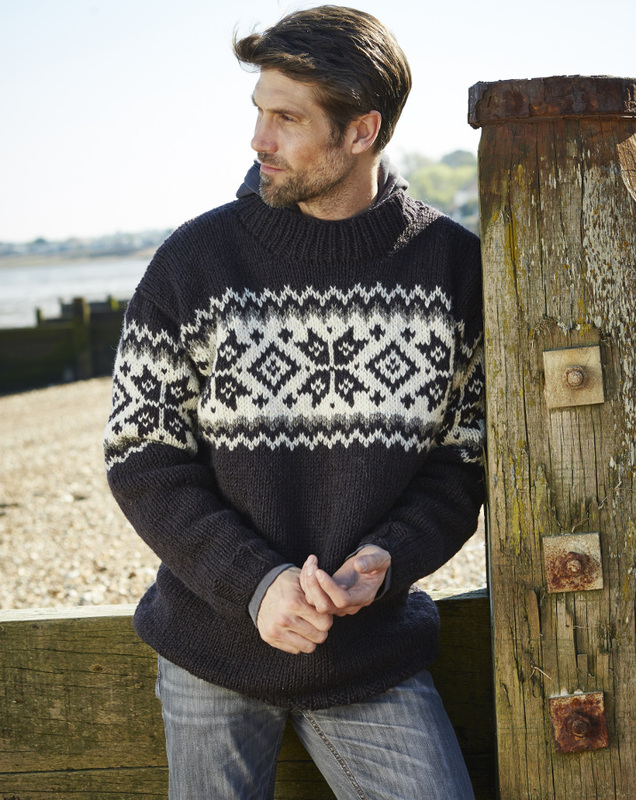 This unlined chunky knit jumper in charcoal is handmade by fair trade producers in Nepal. 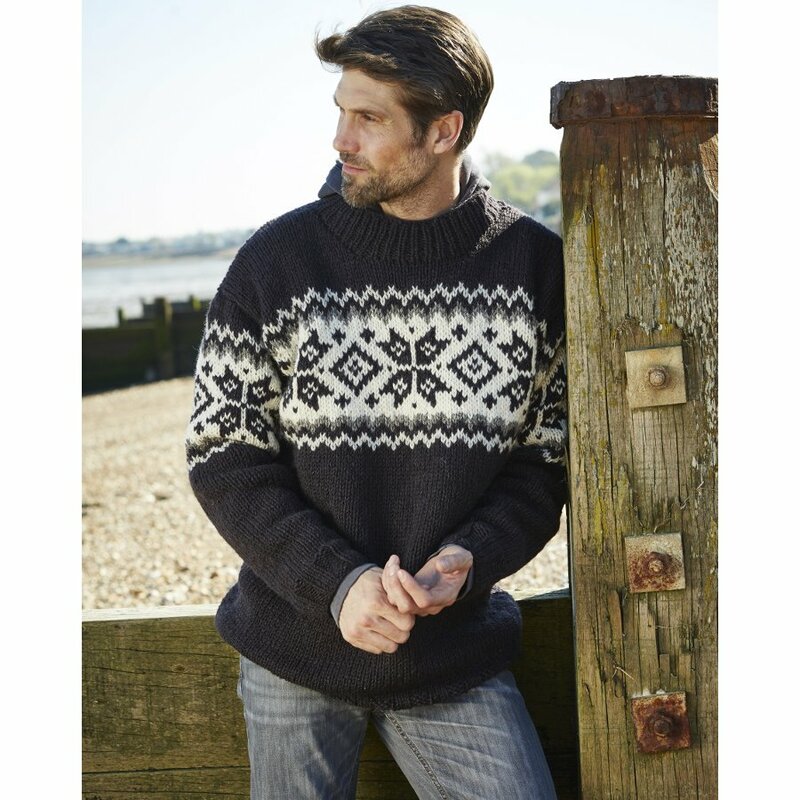 The cosy, ethically produced pullover jumper features patterned stripe detail across the chest and arms along with a chunky collar. 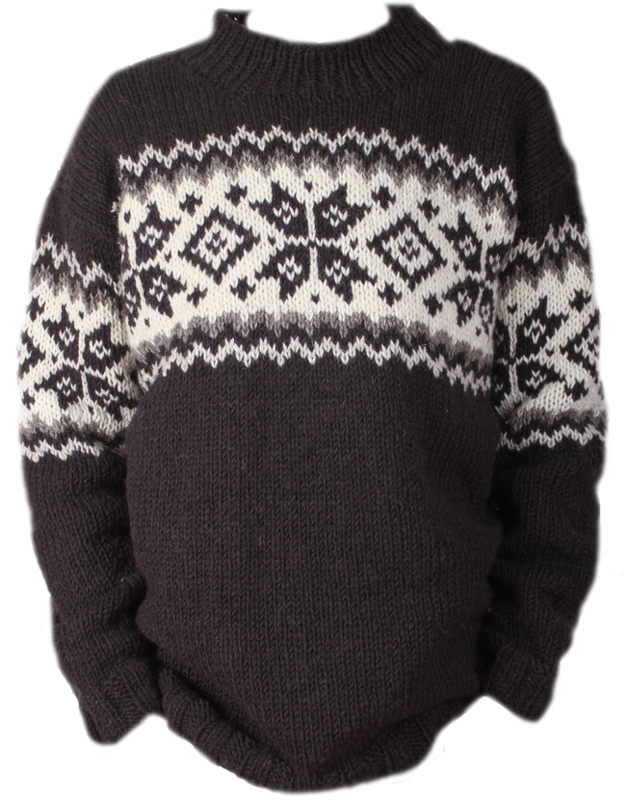 Pachamama knitwear is made in Nepal, with the majority of production village based. The knitters tend to supplement their income with farming and fit production around their own family and work commitments. Pachamama is committed to providing year round orders to ensure a regular and reliable income. Proceeds from the sales of the New England Half Zip Jumper from Pachamama are donated to Net4Kids who invest in practical, sustainable products to benefit underprivileged children. 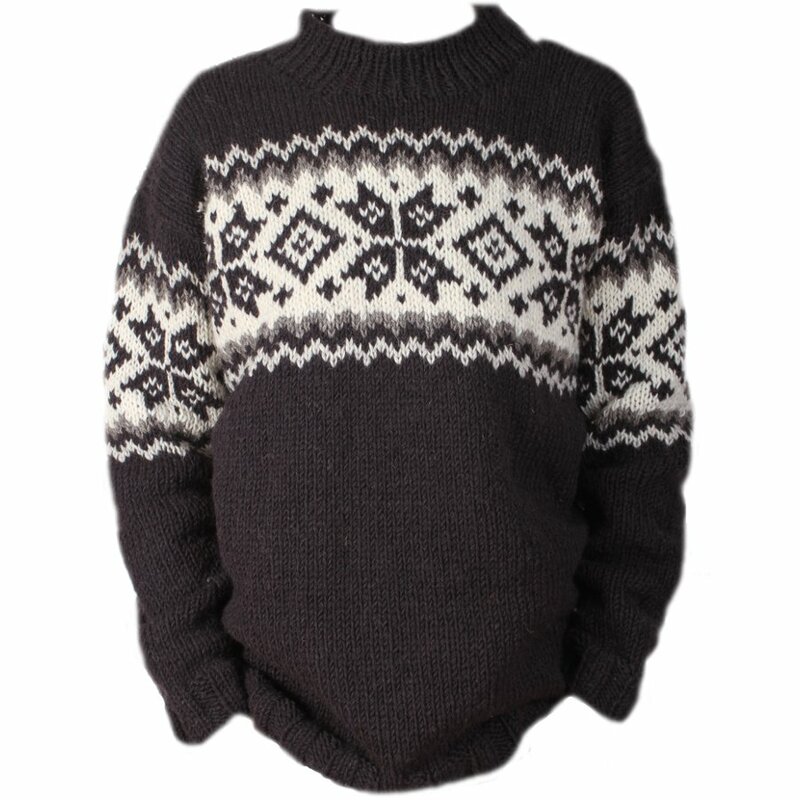 There are currently no questions to display about Mens Yukon Sweater - Charcoal.